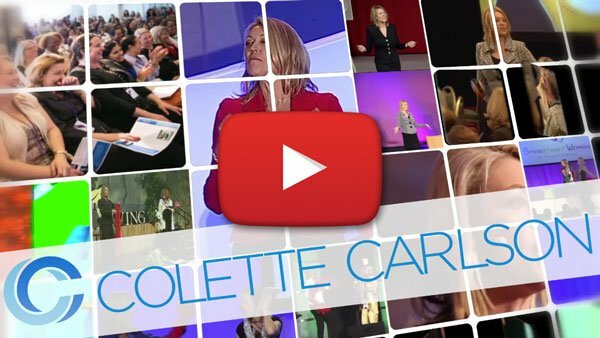 Her seminars are so personalized, attendees often assume Colette is one of them. She has the outstanding ability to connect through captivating content, laugh-out-loud humor, and extensive customization. If you are looking for an award-winning, funny motivational speaker that can also deliver solid content in a way that evokes change and produces results, then connect with Michelle Joyce, Director of Events, at 704-965-2339. Colette’s infectious spirit, passion for her subject, and humorous delivery engaged the audience! Colette was a huge hit at our Leadership Series! We were all so impressed with her research and customization. Colette was knowledgeable, relatable and connected with everyone! Today’s attendees need to know that their speaker did their homework and truly understands them and their challenges. For this reason, event professionals and companies like Boeing, Procter & Gamble and Microsoft trust Colette with their audience. How did you hear about Colette?